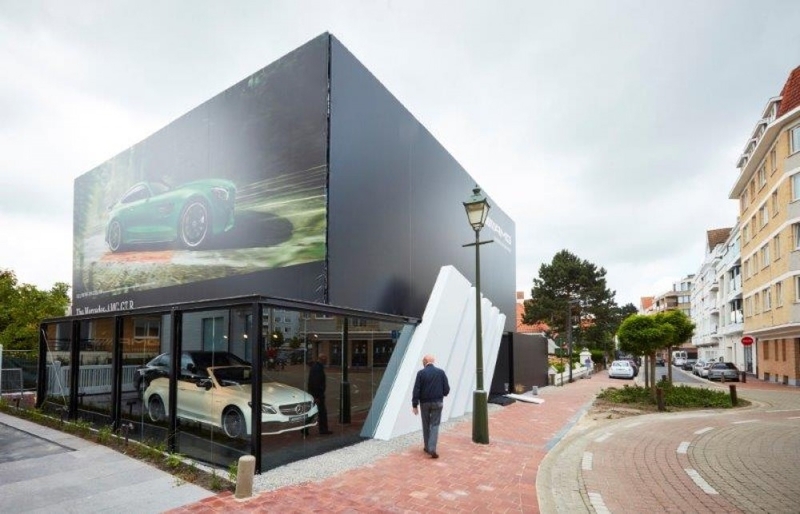 It was on a construction worksite a stone’s throw from the famous Albertplein that this magnificent 100m2 pop-up store took up position. 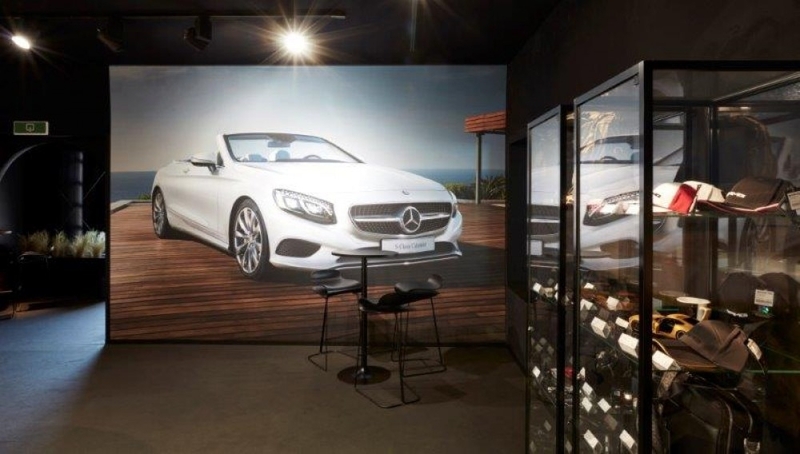 This year, it’s at 20 Nieuwpoortstraat that Mercedes-Benz has set up its pop-up store for the two summer months. 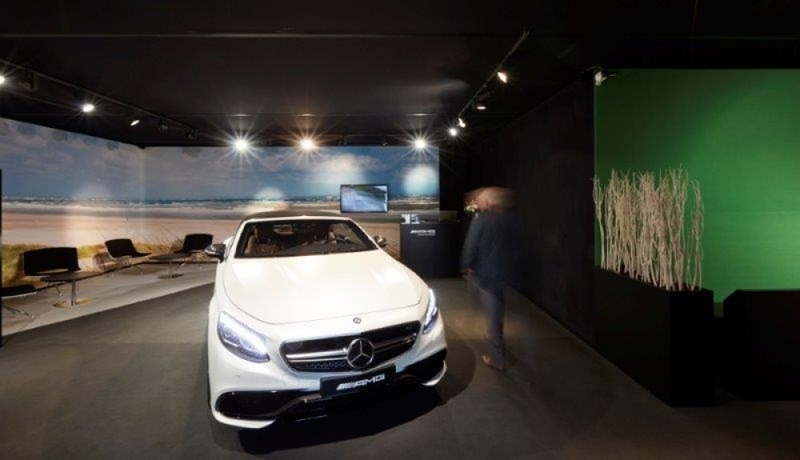 An attractive showcase, it’s there for the second consecutive year at a strategic location in Knokke. It provides the opportunity to welcome anyone, free of charge, but also to organise press conferences and events on invitation for customers and dealers. Last year, some 25,000 visitors came to be wowed! 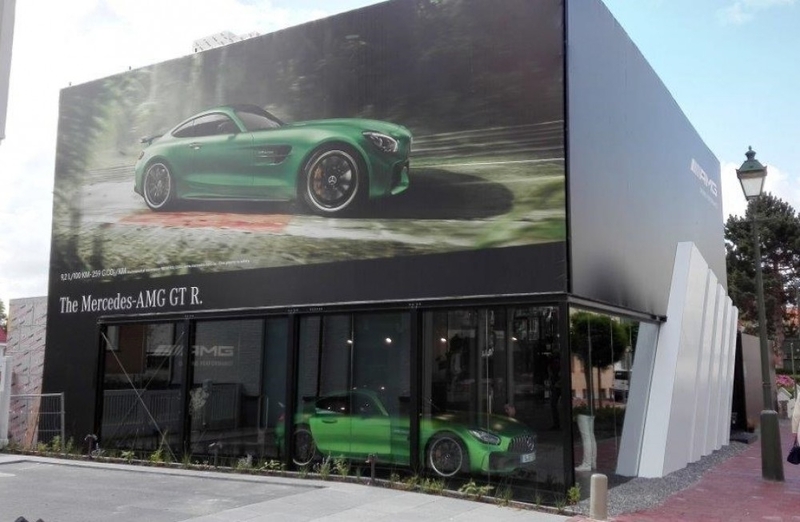 On the programme this year, discover the AMG GT-R and two convertibles, the AMG S63 and the all new C63, indulge in the many accessories and gadgets, participate in test rides by appointment or even enjoy some photo entertainment! What was Conceptexpo’s role in this project and the biggest challenge? The plans were drawn up by the architects of Conceptexpo and were then realised through our various in-house workshops, including design, carpentry, painting, steel, lettering, etc. The pop-up store was then assembled on the construction site as structural work in an unprocessed state. The start date of the construction holidays coincided with the launch of the construction of the pop-up store. The biggest technical challenge of the project was to begin its construction, without knowing in advance how the site conditions of the house under construction would be. People were therefore required to adapt to this situation so as not to waste time! Despite its size and finish and the technical challenges, it will have been assembled in under ten days. 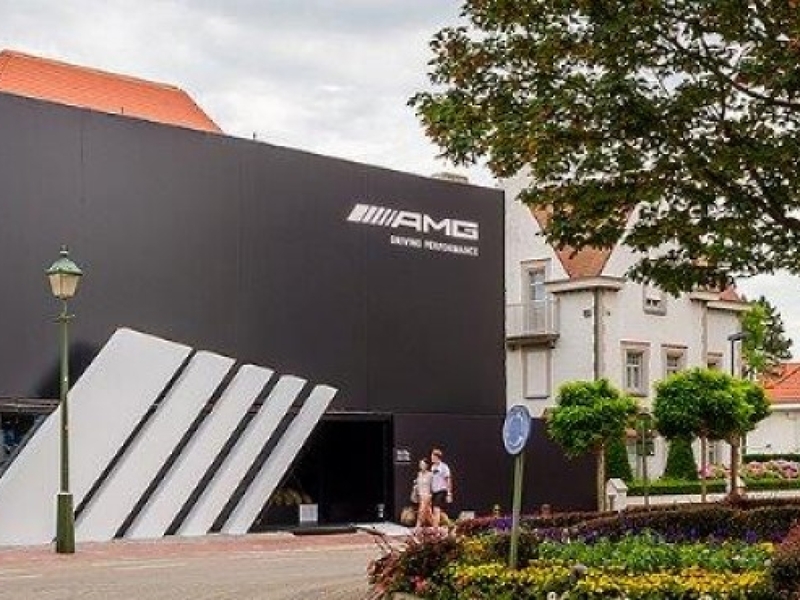 A POP-UP STORE FOR YOUR BRAND? From a few m2 to several hundred, from single to repeated usage, we will present you with a project adapted to your aims and your budget. Please get in touch.